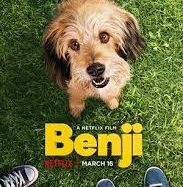 On the way he passes daily to school, two middle school students and an orphan, but brave puppy, named Benji, bind an unusual friendship. Not long after the two will realize that Benji is more than a friend, he is a protector who manages to solve problems. When the two children are in danger, they get so far away that they are being kidnapped by a group of dangerous thieves, Benji and his friends come to help, try to save them, try to find the best way to rescue them.